LastPass informed users that there had been some unusual activity on their network and took the proactive step to ask all users to change the master password and verify logins when trying to login from a different IP address. One of the potential problems of using an online Password Manager is this type of thing is possible. 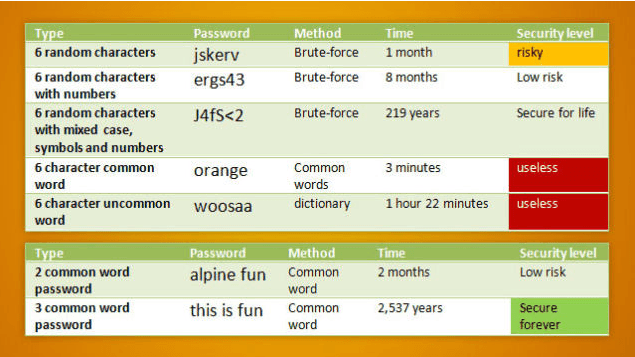 So if you use LastPass please use a Passphrase when you change your Master Password to a Master Passphrase. The point is to write something that is memorable, funny also helps as the example above might demonstrate. Here is the notification –We wanted to alert you that, recently, our team discovered and immediately blocked suspicious activity on our network. No encrypted user vault data was taken, however other data, including email addresses and password reminders, was compromised.We are confident that the encryption algorithms we use will sufficiently protect our users. To further ensure your security, we are requiring verification by email when logging in from a new device or IP address, and will be prompting users to update their master passwords. We apologize for the inconvenience, but ultimately we believe this will better protect LastPass users. Thank you for your understanding, and for using LastPass.